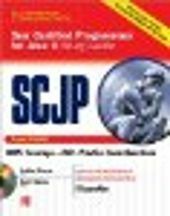 I could not able to understand the usage of the Supplier method in logging from OCJP book by Kathy and Sierra. I studied for thrice but couldnot make out any thing. Can any one throw some light on it with simple example. What if your log level is set so high that the log statement doesn't need to be performed? For instance, the statement is a debug statement, but the application is configured to only log warning messages or higher. If it is expensive to create the log message, then it is a waste to create it if it isn't even going to be logged. Instead, you give it a supplier that tells the logger how to create the message, and it only gets called when the message is actually logged. In general, you want to use the overload that takes a String only if you are logging a literal message, or if you can create the message by concatenating very simple fields or local variables. When in doubt, use the Supplier version. Stephan van Hulst wrote: What if your log level is set so high that the log statement doesn't need to be performed? For instance, the statement is a debug statement, but the application is configured to only log warning messages or higher. Thank you Stephan. I can understand now.